For the second straight week, the Jaguars defense put their stamp on the game very early on. On the first possession of the game, Jalen Ramsey picked off Tom Brady, setting the offense up at the 23 yard line. It took just five plays for the Jags to find the end zone - a 7 yard touchdown pass from Blake Bortles to Marquise Lee. Late in the first, New England was able to get the ball inside the Jacksonville 10, but the Jags defense was able to force the Patriots to settle for 3 points, on a 20 yard Stephen Gostkowski field goal. Jacksonville was able to put together an 18 play scoring drive, that started in the first quarter, and took us into the second quarter. Leonard Fournette had 11 carries on the drive, including a 1-yard touchdown that put the Jags up 14-3. Jacksonville also converted a 4th and 1 on the drive. Tom Brady continued to be harassed by Jacksonville's defense and really struggled to find open receivers, which led to a number of Patriots punts. Still up 14-3, Jacksonville put together another nice offense drive, highlighted by a 28-yard reception by Lee. That big play set up a 2-yard touchdown pass to fullback Tommy Bohanon, giving the Jaguars a comfortable 21-3 lead. With just over 3 minutes to play in the quarter, Brady went to work. He completed several big passes to James White (27 yards), Rob Gronkowski (20 yards) and Chris Hogan (17 yards) to set up the Patriots first touchdown of the game, which came on the ground - a 5-yard run by Dion Lewis. Jaguars lead 21-10 at halftime. The third quarter was a defensive battle and an offensive struggle for both teams. We saw 5 punts and a Blake Bortles interception, to keep the score the same headed to the fourth quarter. However, the Patriots are on the move inside the Jaguars 20 yard line. Just three plays into the 4th quarter, Dion Lewis scored his second rushing touchdown, this time from 2-yards out. Brady connected with Gronkowski for the two point conversion, cutting the Jaguars lead to 21-18. 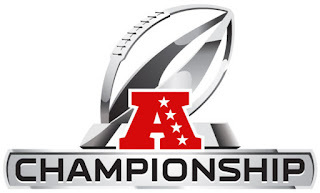 After a Josh Lambo field goal put the Jags back up 24-18, Brady drove the Patriots right back down the field and they scored their third rushing touchdown of the game. This time it was James White from 8 yards out, giving the Patriots their first lead of the game 25-24. Leonard Fournette continued to put a pounding on the Pats defense, and it started to show. The Jaguars were able to knock in another Lambo field goal, putting them back in the lead 27-25. With just four minutes to play, Jacksonville's defense came up big again. Calais Campbell was able to sack Brady, forcing a fumble and Myles Jack was able to recover at the Patriots 23. Five plays later, T.J. Yeldon scored from 5 yards out, putting the Jags up 34-25 and putting the game out of reach as the Jaguars upset the Patriots in Foxboro and are headed to Super Bowl 52!